If this is the first time you are reading about Marc Boutavant then you should continue to read. He’s a French artist and a phenomenal illustrator, one of my personal favorites. 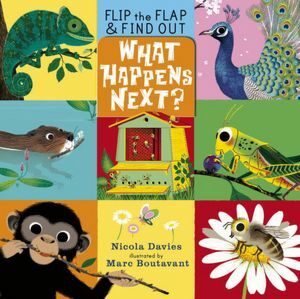 His illustrations are adorable and they make any children’s book (even a bad one) an instant hit. Kids love them for the bright colors he uses and cute, kind of unique facial expressions. My son enjoys them too – he was flipping through For Just One Day this morning and it captivated him for a good ten minutes (which is like eternity for toddlers) until he was off to inspect a slowly disappearing balloon we brought home from his friend’s birthday party a few days ago. 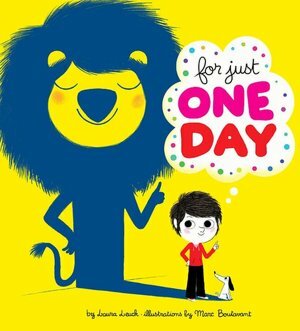 For Just One Day by Laura Leuck must be one of my favorite children’s books ever. It’s so adorable. 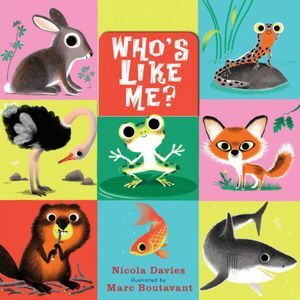 It’s all about pretending to be different animals from various places around the world and it rhymes too, which is great for training your little one’s memory … soon they will start filling in the words on their own. It has a mirror on the last page reminding the kids that the best thing they can be is exactly who they are “… I’d like to be that special someone that is ME”. 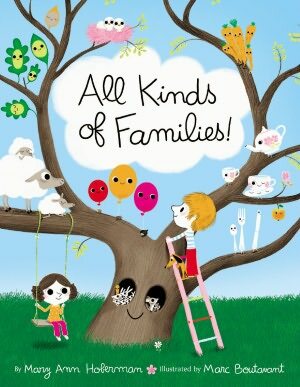 All Kinds of Families! by Mary Ann Hoberman is another marvelous book illustrated by Marc Boutavant. It talks about all kinds of objects around us – from celery to buttons. And it rhymes too. 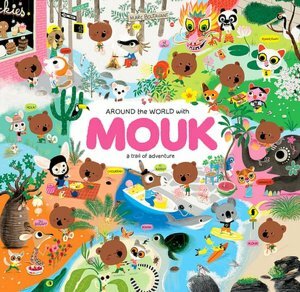 If your child is at least 3 years old then you should also go for Around The World With Mouk: A Tale Of Adventure by Marc Boutavant himself. 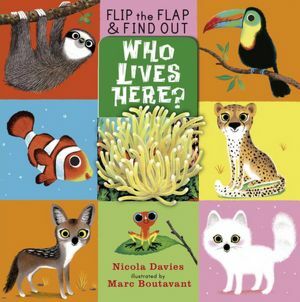 It’s an over-sized, fun, interactive book with 46 reusable stickers – your little explorer will love it. On top of the fun it is educational too – Mouk, a cute bear with a big head and a tiny body departs a chic Parisian cafe and takes your curious little one on a trip around the world visiting places like New York City, Finland, or Japan. 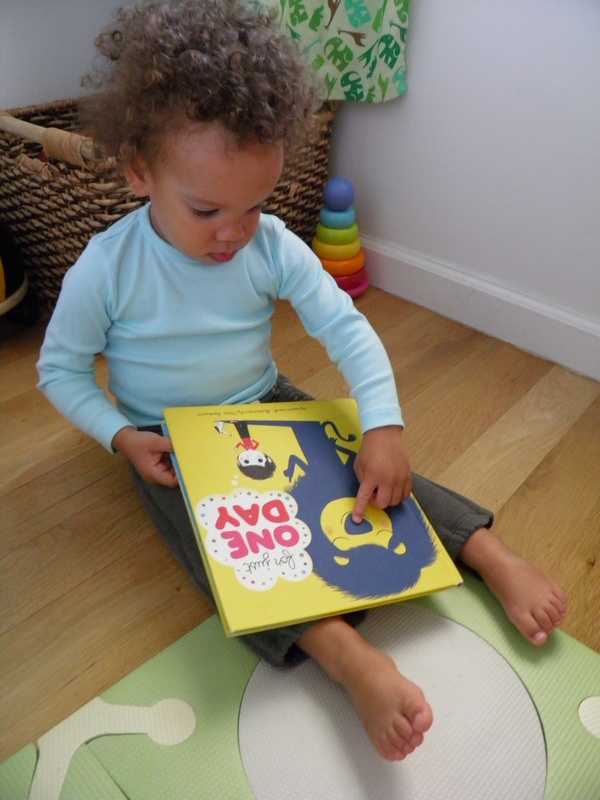 The pages are smooth and shiny and look like they will not rip that easily (although, you should never underestimate toddlers hands and their destructive powers). 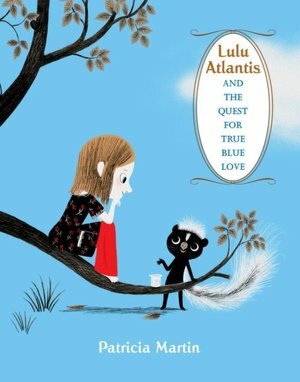 I also love Lulu Atlantis And The Quest For True Blue Love by Patricia Martin. A beautiful and imaginative story about a little girl called Lulu. A little bit more grown-up though, recommended age is 7-10 years. 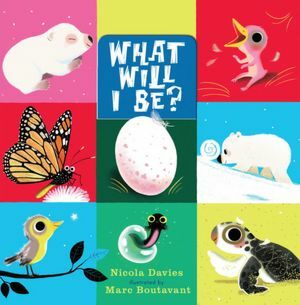 And if you fell in love with these cute illustrations and would like to decorate your children’s room with these friendly creatures, you can with Marc Boutavant’s Hip! Hip! Hooray! 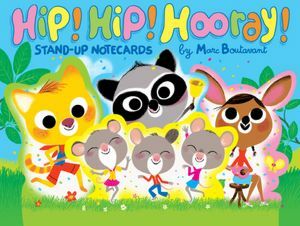 Stand-Up Notecards. There are 16 of them and each measures about 10″ x 13″. Frame a couple of them and create a fun and inexpensive wall decor. If you shop in Europe (and understand French) the selection is broader. But I won’t go there because this post would get very long. And when you go to Europe make sure to make room in your luggage for these awesome Marc Boutavant wooden pull toys. I think I would like to pull one of them myself.